Stop! Don’t stick your hand in it! 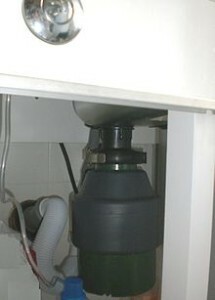 Your garbage disposal may be the smallest and least visible kitchen appliance but it’s also the most dangerous. A poorly working garbage disposal can leave you with backed up water and a smelly contaminated sink, or in the worst case, missing fingers. Trust our professionals at Howard’s Appliance Service to safely get your disposal back in top working condition in no time. Howard’s Appliance Service will fix these and other problems.